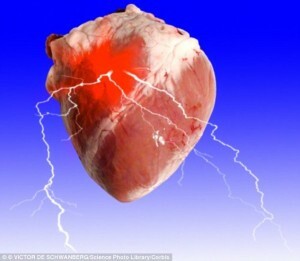 Downing two sugary drinks a day will increase your risk of having a heart attack by 35 per cent, researchers warned last week. Your chances of developing diabetes will go up by 26 per cent and the odds of having a stroke will jump by 16 per cent, according to the study by scientists at Harvard University. They also single out fructose, a form of concentrated fruit sugar which is often used to sweeten drinks, saying it increases production of uric acid which can trigger gout — a painful inflammatory arthritis. The latest alert follows advice from UK experts that we should have no more than seven teaspoons of sugar and earlier studies linking diet drinks to weight gain and fizzy ones to heart attacks and stroke. 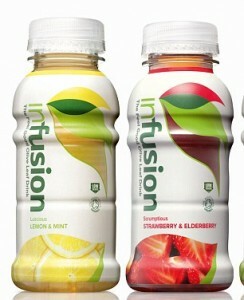 So what is the best choice if you’re looking for a soft drink that delivers on health and has more wow than water? At least 16 studies have confirmed that the nitrates in beetroot juice are associated with a ‘significant’ reduction in blood pressure. And you can’t beat it for pre-training hydration, says James Collins a sport and exercise nutritionist who advises elite athletes including the Arsenal and England football teams. 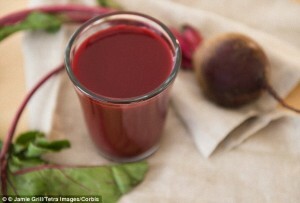 Beet It beetroot juice has 41 calories per 100ml. Nitrate levels vary from batch to batch, but are usually around 80mg per 100ml. Sales of coconut water — the liquid taken from green coconuts — have soared in the past year. It contains the key electrolytes sodium, potassium, magnesium and calcium, but our experts aren’t convinced it deserves its super-drink status. 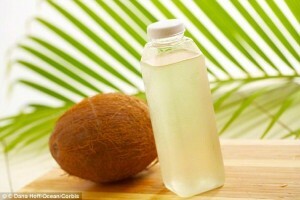 100 ml of coconut water contains around half a teaspoon of natural sugars but only 19 calories. For a convenient and effective sports drink, mix electrolyte tablets such as Nuun with tap-water, advises Dr Carrie Ruxton a dietitian and nutritionist who has worked the NHS, European Commission and Food Standards Agency. ‘They contain the right balance of electrolytes and it’s much easier than carrying around a ready-made sports drink,’ she says. The American College of Sports Medicine advises that anyone who is active for more than an hour should take on an ectra 500 to 700mg of sodium for every litre of water they drink — three times the amount in some sports drinks. One tablet of Nuun makes 500ml of drink, which contains 360mg of sodium, 100mg of potassium, 12.5mg of calcium and 25mg of magnesium. But it has no carbohydrates, because they slow absorption of the electrolytes, and just 6 calories. Olive leaf contains a dynamic duo of hydroxytyrosol and oleuropein – potent anti-oxidants which reduce unhealthy LDL cholesterol. There’s also evidence olive leaf helps bring down blood pressure and strengthens bones. Olive leaf was originally launched as a nutritional supplement, but is now available in three refreshing infusions featuring classic British flavours such as cucumber and juniper. Ovio InFusions contains 17 to 20 per cent olive leaf, depending on the flavour, no added sugars and just 11 calories per 100ml. Available at Holland & Barrett and Ocado. ‘Tea is such an integral part of British life it’s easy to overlook the extraordinary health benefits it brings to the table,’ says Dr Chris Etheridge, a leading medical herbalist. The polyphenols in tea reduce the risk of heart disease, diabetes and some cancers. And although green tea is the one often mentioned in health studies, we actually get 80 per cent of our anti-oxidant intake from black tea. Meta-analysis, a super-study which combines findings from all the relevant trials, found that drinking three cups of tea a day reduces the risk of a heart attack by 11 per cent. Studies confirm tea inhibits oxidation of LDL cholesterol — a key factor in damage to blood vessels — and reduces the inflammation associated with hardening of the arteries. Tea without milk has no calories, but milk does contains a useful top-up of tooth strengthening fluoride — which will counter dental erosion caused by carbonated drinks and acidic juices. It may not have the marketing appeal of some of the new drinks on the block, but milk — particularly non-organic chocolate flavoured milk — is a surprising super-drink. Studies confirm milk aids weight loss, possibly because it’s packed with calcium and protein which make us feel full for longer. A study of more than 37,000 middle-aged women also found those with the highest dairy intakes also had the lowest risk of type 2 diabetes. Milk is ideal for after-workout hydration as the protein will aid muscle repair. But chocolate milk is best. 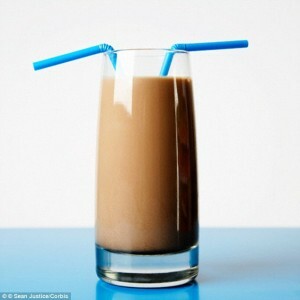 Several studies have shown chocolate milk has the perfect balance of carbohydrates and protein to boost muscle recovery, which is why Mo Farrah and other elite athletes use it. Curiously, standard milk is better than organic. Researchers at Bristol University found organic milk has lower levels of iodine, which is important for healthy metabolism and cognitive function. One UK study found that 70 per cent of the young women tested were deficient in iodine. 100ml of semi-skimmed milk has 47 calories.